Two years ago, Sony dropped the hammer by revealing a new Superhero project, led by an iconic studio known for its adventure game franchise like the Spyro series and more: Insomniac Games. That title revealed was based on a character that fans missed in gaming, the friendly neighbourhood Spider-Man, simply called Marvel’s Spider-Man, an exclusive to the PlayStation 4, aiming to use the full range of high-end technology of Sony’s machine. Now that the game is out, is it the same success Sony had with this year’s God of War? From the first start of the game, you sense that Insomniac Games has big plans with Marvel’s Spider-Man. Kicking off the adventure with a sort of tutorial story mission, you slowly learn some of the game’s key feature like smooth web travelling throughout the city but also combat skills which I cannot help but compare with Rocksteady’s Batman Arkham series. Once that prologue is over, you can finally wonder at leisure in New York, and to be honest, that’s the creamy part of the game! There’s an exhilarating feeling when you web-sling between the buildings, all supported by a graphical rendering that is too good to be true, but mostly thanks to the work done on the animation of our Spider-Man. Controlling Peter Parker in the city is a delight, and there’s so much to do because yes this is an open-world game in its traditional sense. Our hero gracefully slings from one point to another by attaching his webs to discreet visual markers across the city with R2, while you can manage the elevation and speed dive of with L3. It is also possible to propel yourself with the X button and zip forward but without abusing it, and of course, you can at any time perch to a vantage point with the use of R2 + L2. Finally, like any good spider, Peter Parker can also run on walls and hang on the ceiling if the need arises. In short, you will quickly get used to zipping naturally between the high-rise towers of Manhattan almost to a point where it feels like an instinct, with animations and little subtle elements that makes the experience great, like the change in Peter’s voice when talking to his allies. Between the main story missions, there’s so much to distract you, ranging from answering police calls, intervening during robberies or kidnappings, find an endless amount of collectables, take pictures of famous landmarks and much more. These side activities allow you to unlock “tokens” that can be used to buy gadgets, improvements and most importantly new Spider-Man suits that have special abilities. All these elements of personalization are welcome but I regret nevertheless the repetitiveness of these side-missions. Especially since the unfolding of the city life is imposed by the narrative, which is something you wouldn’t expect with a game of this scale. A day and night cycle would’ve injected a real sense of life into the game, and while it’s fun to see passerby greet you, or some reference of the Marvel universe here and there like the Wakanda embassy, it’s not enough to feel that the game is “alive”. Thankfully If the routine can quickly be felt in the open world, thankfully it’s not the case in the core adventure. Without revealing too much about it, know that you will even get the chance as someone else than Spider-Man, and missions are quite varied with some small twists. Allow yourself probably around 15 hours of play to complete the main storyline and probably double that for a complete walkthrough. Nevertheless, under its great technical prowess and a great story, Marvel’s Spider-Man is a fairly traditional game in its core design. Sure there are the bugs here and there, but it’s mostly the simplicity of its gameplay and combat due to really easy AI exploit that will remind you of all other Insomniac Games notably titles like another console exclusive Sunset Overdrive. The bosses of the game offer a tougher challenge, and the fights are often cut into several stages during which it is necessary to understand the attack pattern of the opponent to dodge properly and stay alive until an attack window opens. The process is still traditional in its way but remains effective thanks to the gameplay fluidity of the game. While the latter can be forgotten with the amount of fun you will have playing the title itself, my biggest negative points on the game are on the front the soundtrack that didn’t click with me. Most of you that regularly read my reviews realize that I always focus on the music and voice acting as well, mainly because of my passion as a musician but also because it’s an important sense that needs to be paired nicely with everything else in the game. I’ve paid attention to only a handful of different soundscapes and music tracks, and they are weirdly hidden in the back seat of this work, almost to a point of non-existent. But even with all that, there is no doubt that Spider-Man is one of the greatest superhero games of our generation, if not ever. Of course, it is not perfect and on some points; it does not innovate with regard to open-world title, but still, the pleasure to control Spider-Man with an immense fluidity makes it hard to put down the controller. In all cases, this is a game that should appeal to a majority of players, whether fans of Spidey or not. 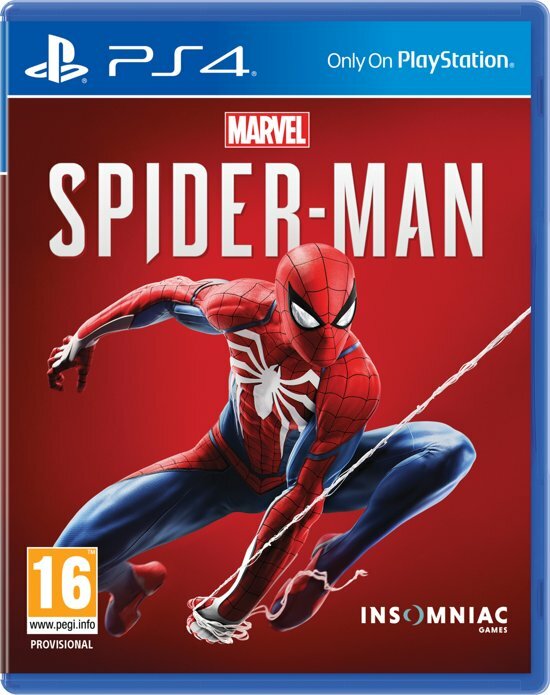 Marvel’s Spider-Man was reviewed using a PlayStation 4 digital download code of the game purchased by the writer. We don’t discuss review scores with publishers or developers prior to the review being published (click here for more information about our review policy). While not really original, and a work clearly inspired by other modern adventure games, Marvel's Spider-Man is still a welcome return of the superhero in the gaming world powered by one hell of a technological feat. An accomplished, award-winning gaming professional with more than 12 years of experience in the videogame industry, Nazih Fares has worked in public relations, marketing, eSports and localization for over 14 different publishers and more than 90 global brands. Fares is currently MENA Communications Manager at Blizzard Entertainment, based in The Hague. His views on this site are his own, and not those of his employer.